We are looking for enquiries mainly from Delhi-NCR region. We are a leading firm, which is engaged in offering Flexible Pipe for Sprinklers. The offered range of flexible pipe for sprinklers is designed & developed utilizing high grade raw material and modern machines by dependable vendors of the market. Moreover, the offered range of flexible pipe for sprinklers is ideally utilized in residential and industrial plumbing applications. These products are known for rupturing in the plumbing system. 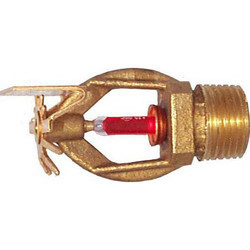 We are a reckoned name, which is readily engaged in delivering Side Wall Sprinkler at customers' premises. The offered range of side wall sprinklers is developed by dependable vendors, who ensure to bring it in complete adherence with the international quality norms and standards. Fitted on side walls and covered with wall panel, the offered range is known for avoiding heat and start the shower water from sprinkles. 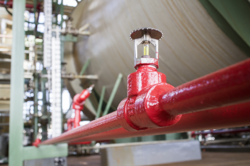 These products are ideal for extinguishing fire at initial stages and avoiding lateral damages. 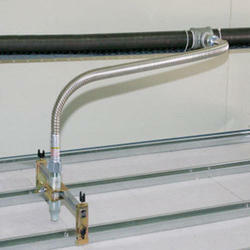 We are a prominent organization, which is engaged in dispatching SS Flexible Hose for Sprinkler at customers' premises. The offered range of SS flexible hose for sprinklers is sourced from reliable vendors, who ensure to made it utilizing high grade steel and modern machines. Along with this, the offered range of SS flexible hose for sprinklers is applicable in different sectors such as residential and industrial plumbing applications. We are a prominent organization, which is engaged in dispatching Automatic Fire Sprinklers at customers' premises. The offered range of sprinklers is sourced from reliable vendors, who ensure to made it utilizing high grade raw material and modern machines. Equipped for automatically detecting and extinguishing fire, the offered range is extensively utilized in offices, malls and other establishments. 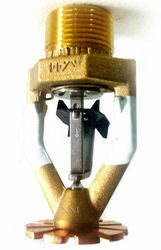 We are able to offer Viking Fire Sprinklers at clients' premises. 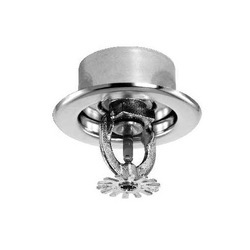 The offered range of fire sprinklers is procured from certified vendors of the market. Along with this, the offered range of fire sprinklers is suitably checked on different characteristics to ensure its compliance with the international quality norms and standards. Known for putting off accidental fires, the offered range is available with sprinkler head, pipes, alarm, water source and fire detector.